Sports betting, online poker, blackjack or bingo-do they have an influence on your personal finance? Hardly a day passes by without viewing a TV or magazine ad referring you to a casino website. Some people choose to ignore the ads. But for others, occasional gambling is nothing more than a harmless, fun hobby. Where online gambling is legal, governments enforce policies that encourage responsible gambling. Children are not allowed. Adults can’t place more than a certain amount on a single bet. But what’s the impact of online casinos on gamblers’ personal finances? The topic of whether you gamble when applying for a mortgage shouldn’t occur. Banks and other mortgage providers shouldn’t care whether you visit online casinos. However, some lenders may be cautious in lending you a mortgage if they learn about your gambling habits. Online gambling becomes a problem when you want to use your casino income to apply for the mortgage. Most lenders consider casino income as a high-risk type of job and may deny you the mortgage. Gamblers with regular jobs don’t need to be afraid of getting mortgages. If you can afford the mortgage, lenders don’t care about your casual online gambling habits. You also don’t need to tell them about it. If you can manage your finance and afford the mortgage, nothing else should matter. You can get your mortgage and play online casino from Canada the easy way. For serious gamblers afraid their gaming activities could affect their mortgage applications, take precautions. Have a different credit card for gambling. Lenders may frown upon statements that link you to gambling. Alternatively, reduce gambling a few months to applying for the mortgage. Lenders won’t get alarmed by a few transactions on online casinos. Your credit report is designed to show whether you can pay a loan. It’s not related to how you spend your money. Unless you claim to borrow money to finance online gambling, credit card companies shouldn’t deny you a loan. The only time gambling may affect your borrowing is if you are a compulsive player. 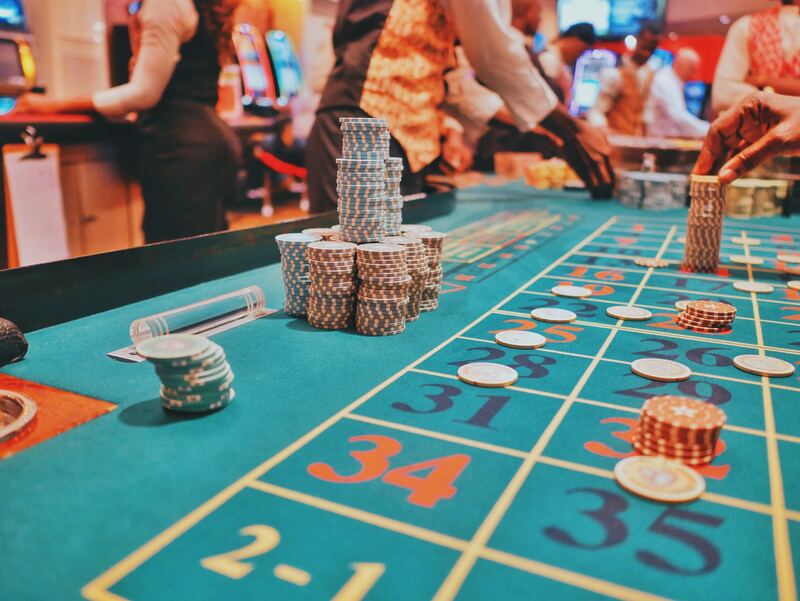 Taking unauthorized overdrafts to make deposits on online casinos definitely impacts your credit score negatively. To avoid such issues; pay all your balances before the month is over. Also, pay your regular bills in time as they affect your score. As already mentioned, avoid borrowing to finance gambling-related activities. Even though you may be confident in your ability to repay the loan, it is a loss. Credit card loans come with interest rates. And when you borrow to finance gambling, the interest rates are much higher. Casual gamblers never have a problem with paying bills. In a study done in the UK, fewer than one in 100 gamblers are unable to pay bills. The only type of gamblers unable to manage their day to day finances is problem gamblers. Taking advantage of the casino bonus list on Zamsino UK will hardly affect your ability to pay bills. Having a bankroll and betting only what you can afford creates a responsible betting habit. A gambling schedule and being disciplined also ensures you stick to a budget. If you think gambling can impact your ability to pay bills, make priorities. Pay your bills before you budget money for gambling. Stick to the budget and you will never have to get late at clearing your water, phone and electricity bills. Many studies link gambling to poverty. Some have gone as far as calling gambling a short way to becoming poor. But is it? Can you gamble online and maintain a financially stable lifestyle? Yes, playing casino games once in a while does not automatically spell havoc for your finances. With the number of responsible gamblers outweighing problem gamblers, you can be rich and fancy gambling. In fact, a lot of wealthy people enjoy occasionally gambling. Playing online games is fun. You don’t have to gamble with hundreds and you can always stop playing. Like any other hobby, online gambling doesn’t equate to ruining your financial future. A budget that prioritizes on investing and savings is better for your financial wellbeing. For professional gamblers, you can retire rich. But it asks for discipline and great financial decisions. Save a part of your earnings and invest regularly. Increase your income sources and you can easily attain financial freedom. Paying debts is problematic for many gamblers. If you depend on online gaming for money, it is easy to get addicted. It’s also easy to run into debt problems. Because gamblers tend to chase losses, you can add loans with the hope of winning big. If that happens, cut all your credit cards especially if you use them to finance your gambling activities. The best way to deal with debts as a gambler is to avoid them. Once they begin to pile up, you can ruin your credit score in a matter of weeks. Many casual gamblers are able to manage their finances and rarely bet with money from debts. It all boils down to responsible financial management. Prioritize debt repayment over occasional gambling. Once you are confident you can repay your debts, consider joining an online casino. While it is true some people have ruined relationships due to gambling, there are many responsible players out there. Playing compulsively, accumulating debts and becoming unable to handle bills will definitely affect your personal life. By contrast, responsible online gaming will rarely damage your relationship with others. The key is to keep gambling casual unless you decide to make it your profession. In that case, discipline and knowing when to quit can ensure you are not affected in a damaging way. All forms of gambling can add wealth or reduce your income in the long span. But neither case should damage your personal finance and relationships. Bet responsibly and avoid chasing losses. Having a budget and the right priorities will ensure you remain rich even when you lose on online casinos.